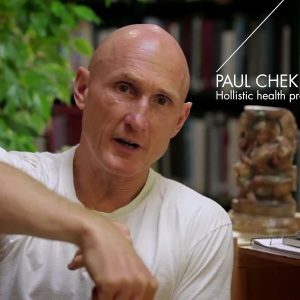 The C.H.E.K Institute’s approach to functional exercise and optimal health was developed by Paul Chek and is based on his 30 years of clinical practice working with clients from all walks of life, as well as his diverse educational background as a Holistic Health Practitioner, Neuromuscular and Sports Massage Therapist. Paul’s methods are truly holistic, viewing the body as a system of systems – a fully integrated unit where physical, hormonal, mental, emotional and spiritual components must be considered. Paul has produced hundreds of videos and 17 advanced-level home study courses. He is an author of 11 books including the popular “The Last 4 Doctors You’ll Ever Need” and “How to Eat, Move and Be Healthy” and a regular contributor to many publications and websites. The C.H.E.K Institute’s four advanced training programs include CHEK Exercise Coach, the four-level C.H.E.K Practitioner Program, the Golf Performance Specialist Program and the three-level CHEK Holistic Lifestyle Coach Program. History: As a doctor and educator I am always fascinated by the personal stories of health care practitioners and healers that led them into the healing arts. What led you down the path of health and healing?Programs: When I was researching your programs, it appeared that it could take approximately 7 years to complete the entire system and then someone can become a Chek holistic health practitioner. Is that accurate?Clinical uses: When would someone see a Chek Lifestyle Coach or differentiate for us when one kind of trainer would be more appropriate than another in your systems? What are some of the issues that people seek out a Chek coach or practitioner?Comparison/Uniqueness: How does the Chek training differ or compare with some of the other mind/body systems such as Pilates, Alexander Technique, Feldenkrais, Gyrotonic, even Yoga or Qi Gong, etc.? You have some interesting and unique concepts that you incorporate in your approach. Can you elaborate on the concept of “Tending the Child Fire”? 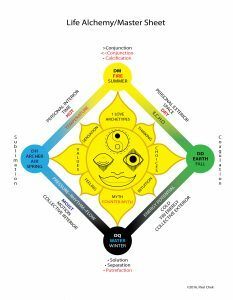 In Chinese medicine we have a 5- element model of correspondences that engender the human experience Fire Earth Metal Water and Wood. Sports performance: What are the applications here? Are your practitioners working with elite athletes? Cognitive performance: What are the applications here? Are your coaches working with peak performers in areas where the goal is exceptional cognitive performance? Safety: Any safety concerns when practicing or performing any of the modalities in the Chek training or coaching programs? Research: Are there any research studies that you want to share that have either influenced the Chek programs or point to the efficacy of the Chek programs?